Seasonal projects dont wait for you to get around to them. When we bought this property, we noticed that there are several maple trees big enough for tapping. We tagged these before all the leaves were down with the hopes of collecting sap to make our own maple syrup. This isnt something we have done before ( that's going to be true for many of the projects here!). So i have been taking some free (ha!) time to learn and get ready. Sugar season usually starts late winter, depending on the temperatures. It will usually happen sometime in February-March. Longer days, and daytime temps that rise above freezing on occasion signal the trees to wake up from their long winter nap, and the sap begins to rise up from the roots out towards the branches. This sap is collected from the trees for a short time before they start budding new leaves. Dont worry, a healthy tree produces more sap than it needs, and tapping them will not harm the tree. The sap, which is clear and watery, is collected by drilling small holes a couple of inches into the trunk of the tree, and a tap is pounded gently into this hole. Traditionally, buckets are hung on the tap, and once the sap rises, it will drain out the tap hole into the bucket. try to learn everything I could. 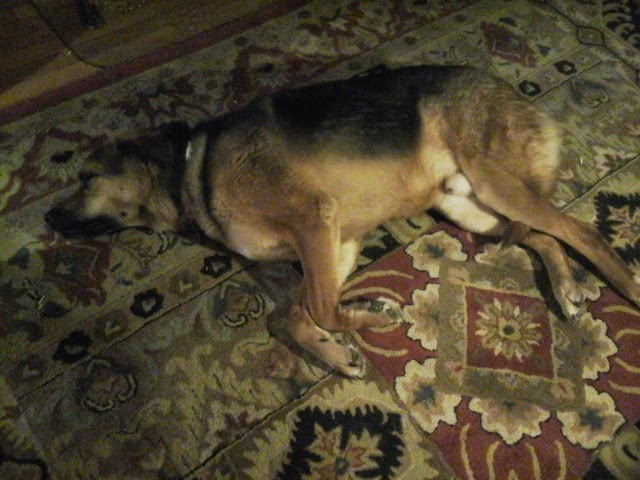 I often read into the evening when other chores are done. One book in particular has been helpful, and gave me the confidence that we can do this. 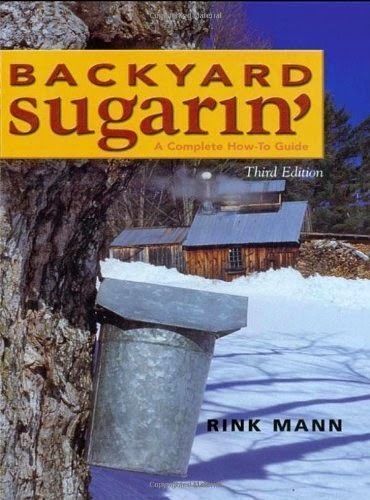 if you are considering producing your own syrup, this is an excellent resource. After studying, I gathered a list of supplies we will need. Chief among these is a way to boil down the sap. ( raw sap is mostly water and must be boiled down ( and boiled and boiled and boiled) until it reaches its syrup consistency). 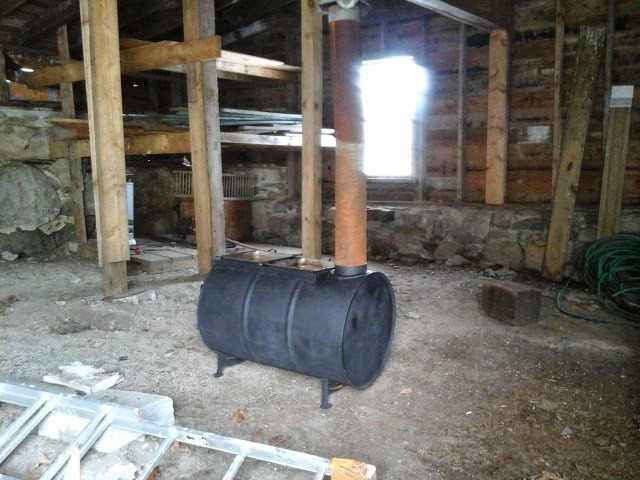 Evaporators, as they are called, come in all styles, from expensive purchased units, to a simple fire pit. 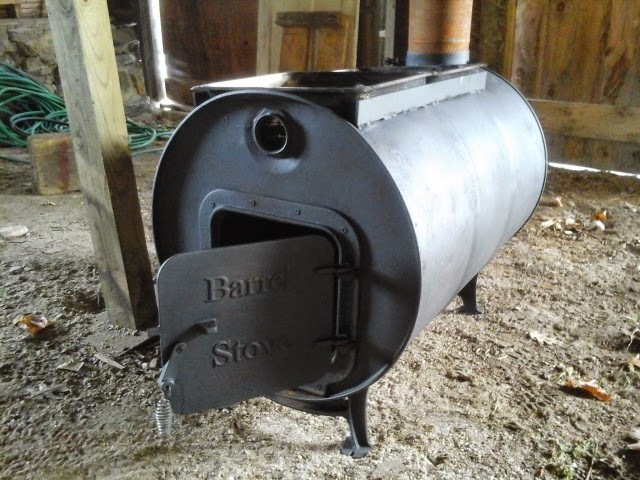 i found this home crafted, wood -fired evaporator on Craigslist, and decided it is just right for our needs. We decided to be budget conscious this first year, and will be using gallon water jugs instead of metal buckets to collect the sap. It wont look as nostalgic, but they will cost us nothing, and will get the job done. We will be purchasing taps this week, because sugar season is a big thing around here, amd i dont want the farm supply store to have sold out because we waited too long. Along with ordering new chicks, planning the garden, and a greenhouse, working on firewood, and getting repairs started on the house, winter is a busy time. In addition to all the homesteading, i am training for two 100 mile races this year, as well as numerous shorter events. Yikes. Weather today. Cold! It started around 20, and got colder and colder. Will be in single digits tonight. Daily run: As part of a specific training plan, today was not a run, but core strengthening work. Thought for the day: Proverbs 16:3 "Commit to the Lord whatever you do, and He will establish your plans."